An East Midlands golf club is to close down early next year amid rumours that it will be converted into housing, after its membership fell to just 75. 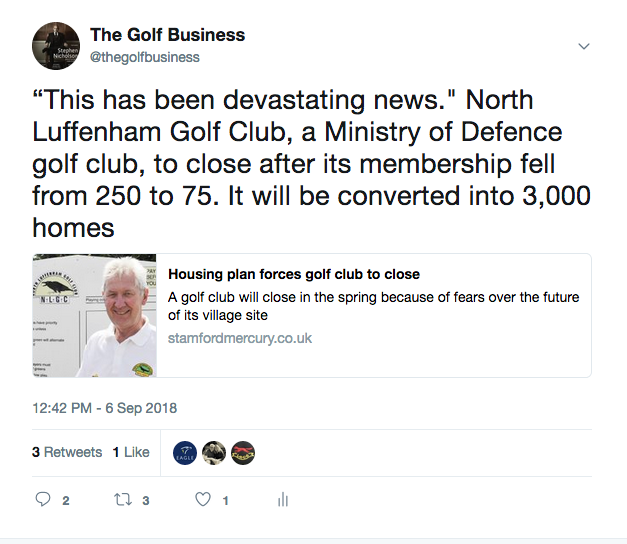 North Luffenham Golf Club, in which the land is leased from the Ministry of Defence, has said it will close down on March 31, 2019 – the same day that Maywood Golf Club in Derbyshire will also cease trading. Several golf clubs pick early April for their annual subscription membership renewal date, while Brexit is also due to take place in late March 2019. According to the Rutland and Stamford Mercury, the club has also fallen victim to redevelopment plans to create a garden village of more than 3,000 homes, even though the golf club was not originally included in the plans. ‘Officials were led to believe the course wouldn’t be affected when the army leaves the site in 2021,’ it reports. Club president Malcolm Hird said: “This has been devastating news for many of the members who have been with the club for many years, some from the very beginning in 1976. At its peak, membership totalled about 250 people. 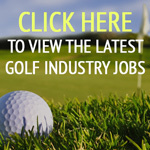 Club secretary Helen Wood said many of the current members are elderly people who may not be able to play at other courses. She said: “For some of our members this is the only time they get out. Some have said they won’t go anywhere else so they won’t get the exercise and company that they need. Three employees will be made redundant. Just another brick in the road. The game is evolving…those who refuse to economize the standard, must learn to agonize with the tradition.